La Borgata Hotel nestled in the green of the Mediterranean countryside is only few kilometers from the Costa Smeralda and its beautiful beaches. The Hotel which has been recently renewed, is open all year round and has a free large car parking observed by security cameras. The Borgata is ideal for a vacation or a business trip. A perfect location if you are looking for the countryside tranquility and you want to be close to the famous night-life of the nearby Porto Cervo. 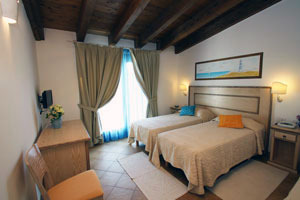 This family business guarantees to welcome you with the typical warm and friendly service of the Gallura area . La Borgata offers 7 large and very comfortable rooms, the colors of the Mediterranean sea and countryside are reflected in the interior decor which make this lovely hotel unique in its style. 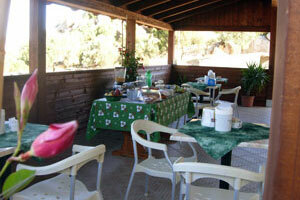 The Hotel has a snack bar and a terrace perfect for the guest breakfast or for a drink in the evening.